TCI Asia members have been representing regional concerns and solutions and contributing to discussions within the UN system to ensure that transforming communities for inclusion remains at the core of efforts to challenge and change the mental health care system. TCI Asia lead members, YeniRosa Damayanti and Bhargavi Davar, were invited to attend a consultation of the Office of the High Commissioner on Human Rights (OHCHR) on Mental Health and Human Rights: Identifying Strategies to Promote Human Rights in Mental Health at Palais des Nations, Geneva, on 14-15 May 2018. The objective of the consultation was to prepare an OHCHR report on this subject as decided by the General Assembly, following deliberations already taking place around a Mental Health & Human Rights resolution. The guiding question was: How to achieve full freedoms and participation of users and survivors of psychiatry and persons with psychosocial disabilities? YeniRosa shared the high profile opening platform with a number of lead officers within the UN system, including the Director Generals of OHCHR, WHO and ILO. The program was a continuation of a process initiated by Portugal and Brazil towards transforming the mental health system. YeniRosa’s message was that, instead of talking about Mental Health and human rights, we should be talking about Inclusion and human rights for persons with psychosocial disabilities. She said: “Inclusion comes first and mental health comes later. 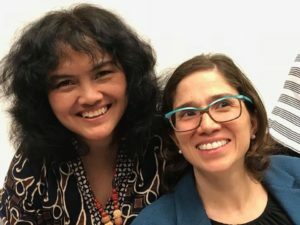 Inclusion goes beyond ‘treatment’ and the medical model.” The story of a woman in Indonesia, who was given many hundreds of USD for psychiatric pills while what she needed was a livelihood and social protection, was shared. Bhargavi Davar shared the platform with Mr Danius Puras, Special Rapporteur for Health, whose recent report described the oppressive reality as it is for us within the mental health system. Her statement emphasized that policy makers have to change the traditional legal practice of how to ‘fairly’ deprive liberty or how to ‘fairly’ establish that a person is ‘incapable’. This is not possible. In its place, we need to usher in a whole new set of community practices with the idea of ‘Inclusion’ as required by the new human rights paradigm, leading to a whole new batch of policies and laws. Perpetrating colonial frameworks through mental health legislations, in our experiences, constitutes torture. All speakers from within the UN, including Mr Nels Melzer (Special Rapporteur for Torture and Other Inhuman, Cruel and Degrading Treatment or Punishment), present at the consultation emphasized the need for a paradigm shift, de-institutionalization, sharing good practices and making it part of their mandate and message in the future. Country representatives of Brazil and Portugal spoke to their counterparts in other nations present in the room, emphasizing the importance of de-institutionalization and of focussing more on good practices. Subsequently, TCI Asia members participated in the UN Special Rapporteur’s consultation towards a report on the highest standards of health and mental health for persons with disabilities. Several TCI Asia members participated in the 11th Conference of States Parties, held in the UNHQ, New York on 12-14 June. 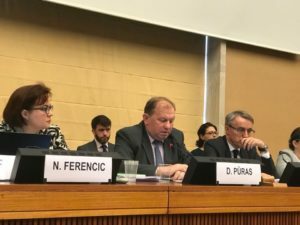 In partnership with Human Rights Watch, IDA, OHCHR, Pacific Disability Forum and Disability Rights Fund, TCI Asia offered a side event on 12th June, on the topic ‘From Mental Health to Inclusion‘. Speakers from these organizations shared the experiences of persons with psychosocial disabilities from Asia and Pacific. These included rights violations and lack of support systems in communities, and examples of effective and emerging good practices found in the region.